Hello and welcome to the February issue of From the PC desk. This month we would like to speak about the Advanced Roles of the program, the Level 2 maintenance exam and the Judge Feedback form. This was mentioned when the New New World Order was announced, but we would like to expand the idea a little more in the following lines. The leadership of the judge program relies on the Level 3 judges, but amongst them, some are temporarily chosen for a specific role. 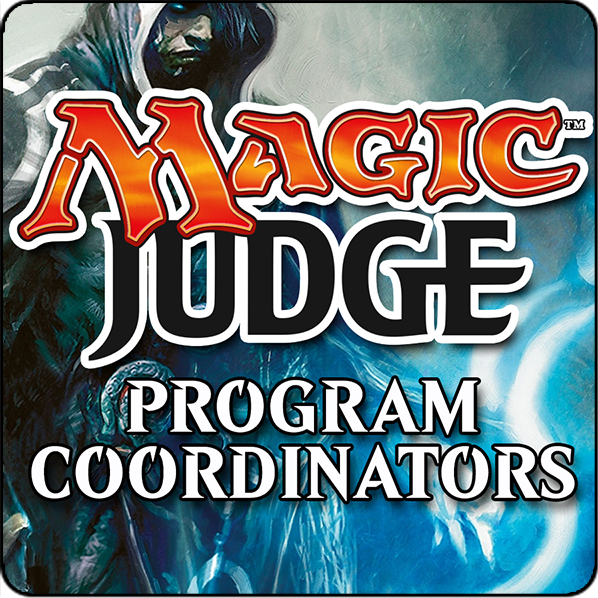 Those are the Advanced Roles: GP Head Judge, Regional Coordinator and Program Coordinator. Each of those Advanced Roles last for 18 months and then will be selected again. The same person may re-apply to those roles, if they wish. There also exist two special Advance Roles: the GP Head Judge Leader and the Regional Coordinators Leader. Those are selected for 12 months and are responsible to coordinate their respective groups. You can find a more detailed description of each role by following the links in this article. By the way, remember those rotations we just spoke about? Well, the Program Coordinators are rotating now, view the full announcement here. Last August, the L2 Maintenance exam was announced with a projected readiness for 2017, please visit the article and the Official Resources site for details. Due to unexpected circumstances, it won’t be ready in the near future. Once we have more information, we will update the community as to the availability of the exam. Until the L2 Maintenance exam is released, the L2 Practice exam can be used as a substitute. Level 2 judges only need to take the exam once a year, and you can choose to take the L2 Practice exam now or wait for the L2 Maintenance exam to be released. The L2 Practice exam is available online (with a 60-day waiting period) or written (administered in person by a Level 3 or Level 2 Tester). Last but not least, we would also like to remind you about the Judge Feedback Form. Its goal is providing the players a channel to tell the judge program how good or bad the judges are doing. Please share the address amongst the players in your community.